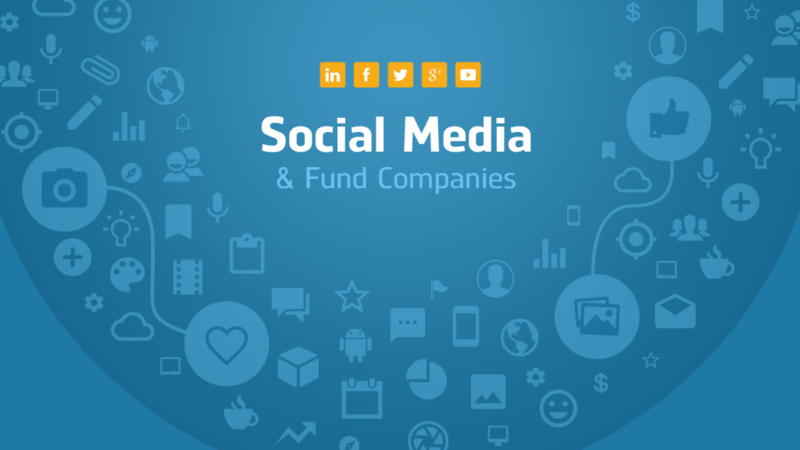 Social Media and Fund Companies: Help or Hindrance? The social media wave has swept up businesses large and small in its wake, and fund companies are no exception. Does using social media help or hinder the fund companies which use it? That is a matter of opinion, but what is incontrovertible is that many mutual fund companies have made social media an integral part of their consumer outreach efforts. In this article, we examine the effects social media can have, both good and bad, on such companies. The advent of social media has enabled fund companies to reach out to their customers and prospective customers more easily than ever before. Platforms such as Twitter, LinkedIn, and Facebook allow them to communicate certain information about their offerings more inexpensively than by taking out an advertisement or hiring marketing personnel. A drawback of social media in this regard is that while social media users typically expect firms to share a wide variety of product information via the platforms, fund companies are restricted by regulation as to the type of information they can disseminate using the medium. This can lead to a potential backlash from consumers who expect greater sharing of information. At the same time, given the prevalence of social media throughout the business and consumer world, the lack of a social media presence can be detrimental to a fund company’s image, especially among younger investors more accustomed to using social media as an essential communication tool. One issue facing fund companies which use social media is that consumers expect fast, if not instantaneous, responses to their inquiries via such platforms. Fund companies, given the regulatory issues involved in communicating with the public, are not always able to satisfy expectations of speedy responses. In addition to regulatory issues, a fund company that communicates with the public via social media should ensure that they are properly staffed to use such platforms. It is much better to let a consumer with questions about a fund know that their question has been noted and a response will be delivered as soon as the proper personnel have looked it over, rather than to simply let such questions go unanswered due to what appears to be inattention on the company’s part. For best results from their social media efforts, fund companies should promulgate clear policies as to what type of information they can and cannot provide via social media. Doing so can help prevent any misunderstandings among investors as to what type of questions or requests are likely to receive a response. No specific investment advice: Making investment suggestions or giving investment advice should be prohibited, as these will not necessarily be applicable to all your readers. No posting of personal or account data: Personal information such as account and social security numbers or account values should not be posted on your social media sites. Customers who need to account-related service should be directed to the relevant website or phone number for dealing with such matters. Enforce relevant discussion: You should not allow your social media site to be used for off topic discussions or posting advertisements. Encourage courtesy: To promote a respectful social media environment, attacks on other posters or the company should not be allowed. The SEC has provided guidance for fund companies interested in social media to stay in contact with customers and prospects. The regulatory body’s April 2013 publication of parameters for using social media provided a series of rules and examples companies can use when evaluating the types of communications they plan to make over social media. By clearing up the circumstances in which such communications can be made without requiring a filing with the agency, this guidance set the stage for a dramatic surge in the use of social media by fund companies. The SEC’s guidance included a number of examples of situations where filing was or was not needed, providing further clarity for fund companies interested in using social media to expand their consumer outreach efforts. The resulting rush to incorporate social media into a fund company’s basket of tools for communicating with the public following publication of this guidance has not always been a smooth one; over time, however, a number of best practices for governing a fund company’s best practices have been developed. Several of these are covered in the next section. To get the best results possible using social media, certain guidelines should be followed. The following tips can help your company use social media to maximum effect, while avoiding some of the pitfalls that can occur when companies don’t have robust policies governing use of the medium. Distribute guidelines to all employees as to how social media should be used on behalf of the company. Your social media guidelines should make it clear which employees are tasked with responding to questions via social media and managing the company’s social media presence. Have a ready response team to reply quickly to general questions such as what phone number or address to use, or the name or investment objectives of particular funds. Questions requiring more detailed responses should be sent by the ready response team to the appropriate department for research before a response is provided. Establish clear standards regarding the type of information that should not be provided over social media, such as discussion of the appropriateness of particular fund investments or the performance turned in by a particular fund. Putnam Investments offers an example of a fund management company that has made successful use of social media. In 2016 the firm won the first presentation of the Social Media Leader of the Year Award at the 23rd Annual Mutual Fund Industry Awards ceremony. The company was early to the social media scene, launching its Facebook and Twitter presence in 2009. It has focused on using its social media outlets, including Twitter, LinkedIn, Facebook, YouTube, Instagram, Google+, and three separate blogs, to build its brand and to help financial advisors better understand how to use social media to build their businesses. As a broker-sold fund group, Putnam’s efforts to assist brokers use social media included seminars focusing on best practices for using LinkedIn and other social media, online resources, and video tips on its tech tips blog for advisors. While fund companies selling directly to consumers will, of course, want to tailor their social media offerings to appeal to individual investors, they can nevertheless utilize the same principle underlying Putnam’s efforts in this sphere: provide value-added content targeted to the particular needs of your audience. Also, if you’d like to read more about this topic and have future articles delivered conveniently to your inbox, please sign up for our newsletter. Social media presents both risk and opportunity for fund companies, but its increasing use across the investment industry as a whole means that companies that haven’t adopted its use yet may want to seriously consider doing so. For firms that plan to start using social media, or to expand their use of it, developing a plan to effectively harness the medium is essential. Such a plan should include developing policies for its use, as enumerated earlier, and assigning personnel to manage the company’s social media platforms. If managed properly, social media outreach can take your company’s consumer engagement efforts to the next level and, ideally, help generate new business.